As New Yorkers, we all know this city can be trying. From sky-high rents, to subway “experiences” that never cease to amaze. Why do we put up with it? For the good bagels? Maybe. I know one of the reasons, especially for the food-obsessed, is access. And I’m not just talking about access to hundreds of great restaurants, but also to the talent that they employ. NYC has a number of culinary schools as well as tons of food shows like the NY Wine and Food Show and they all feature demo sessions allowing you access to the best chefs around. After covering these events for years without being an active participant, I decided it was time to starting taking advantage of all this city has to offer. This brings me to the class I took last Tuesday night at the Institute for Culinary Education (ICE). 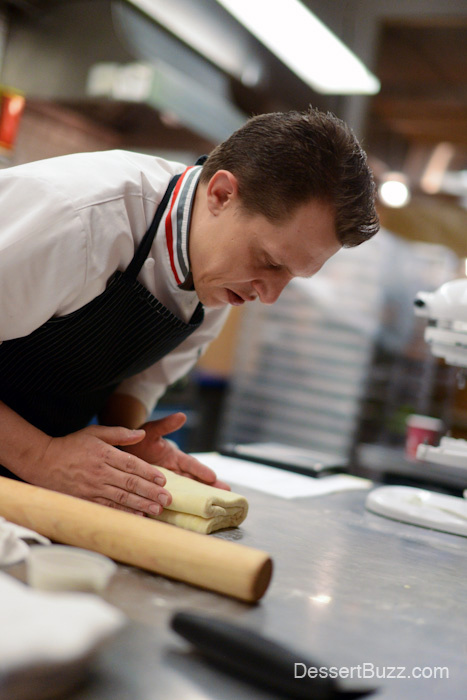 The class, Foundations of French Pastry was taught by Michael Laiskonis, former Executive Pastry Chef of the three-Michelin, four-New York Times starred Le Bernardin, Creative Director of ICE and generally fawned over by laypeople and professional pastry chefs alike. Despite his credentials, the class was not expensive at $115 for 4 hours. And I didn’t have to sign up a year in advance or deal with a waiting list or offer any cash bribes. Just to prove my point above, if I didn’t live in New York, this kind of access to a top pastry instructor would involve an expensive trip to NYC. Even an industry professional, who may have their travel paid for while attending a conference, might not have too much time to ask questions in the chaotic environment of a demo session. The class itself is designed for non-professionals. 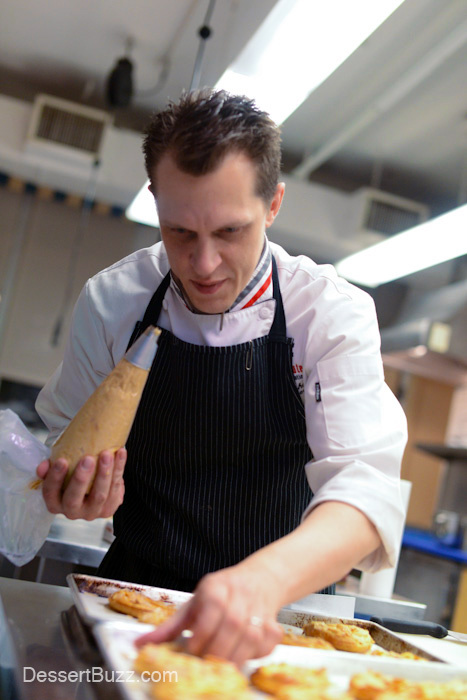 The main goal of the session is to reduce the “intimidation-factor” of French Pastry. 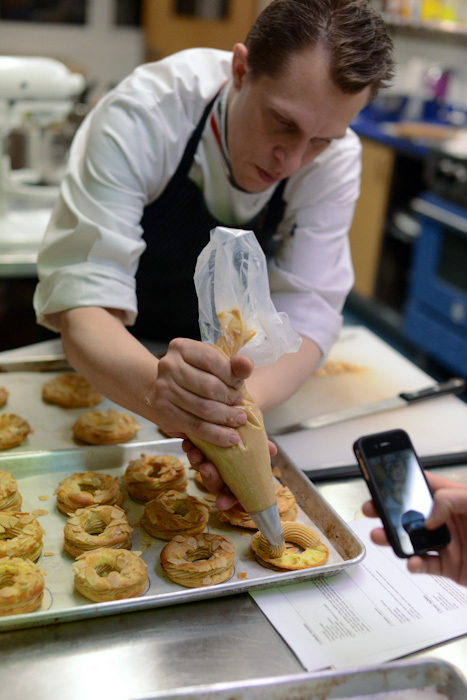 During the class, Laiskonis took us through his own recipes for Pâte à Choux, Brioche, Pain de Gênes, and Puff Pastry. Many of the intermediate steps were prepared in advance, in the manner of a television cooking show, so that we could see how each stage should look. 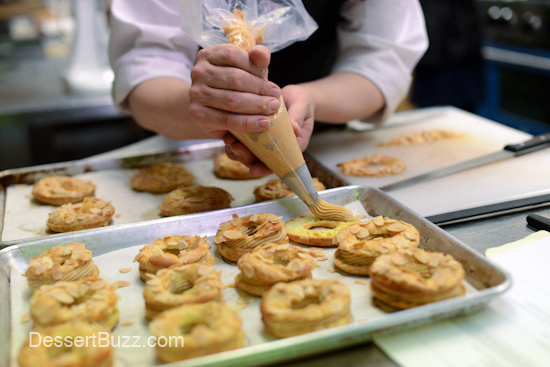 The final baking step and creation of a finished product for each pastry was all done live. At the end of the class ICE even provided red and white wine to enjoy with our desserts. 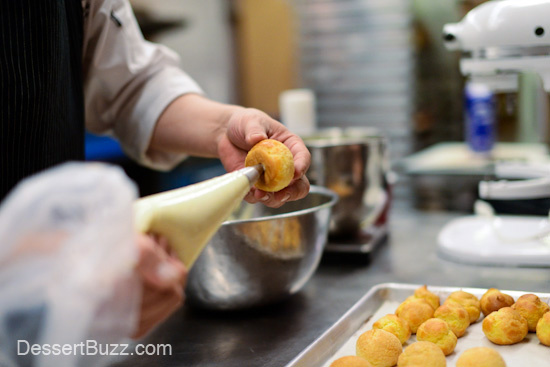 Having a chef known for ultra-refined desserts and advanced pastry concepts teach a class for beginners might seem like overkill but I found it motivating for two reasons. 1) The enthusiasm (and command) that Laiskonis showed for these basic concepts seemed to underscore their importance. 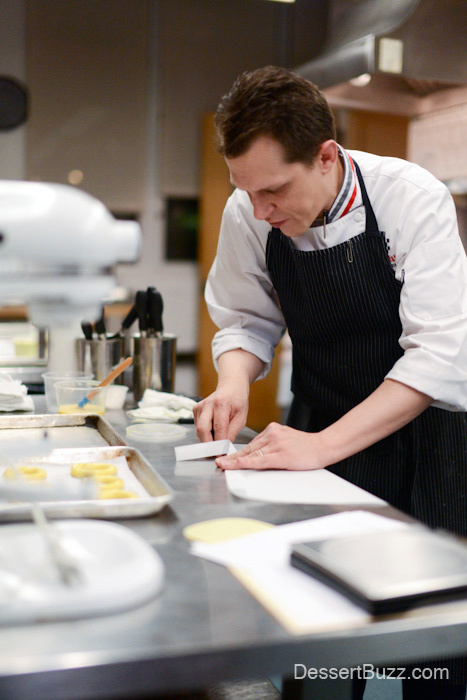 At one point he noted that just before he left Le Bernardin there was a “simple” choux dessert on the menu. 2) Like Bruce Lee teaching you how to make a proper fist–there was just that little bit of additional credibility behind his recommendations. Practically speaking, I picked up many useful bits of information that will serve me going forward, such as: how many grams does a typical large egg weigh? (about 50); why should you always use unsalted butter? (it’s usually fresher than salted butter) and the fact that most pastry shops use day-old croissants to make almond croissants! Plus, there were only sixteen students, so there were plenty of opportunities to ask questions. Tellingly, the two attendees who were currently working in the hospitality industry asked the most questions. If you take one of these classes, don’t be shy! Other classes at ICE taught by Michael Laiskonis are here. A full listing of recreational classes at ICE is here. Professional pastry chefs might be interested in Michael’s March class (anyone know what a “Hydrocolloid” is?) 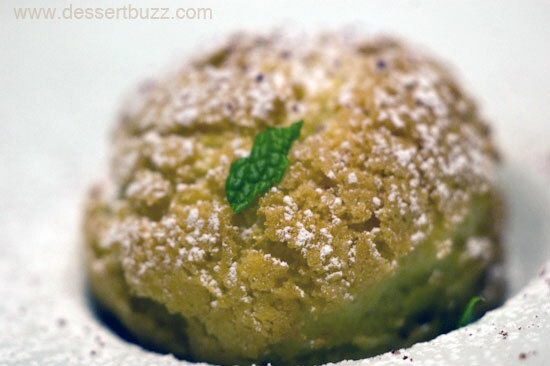 Follow DessertBuzz on Twitter to stay up-to-date on all NYC pastry chef news. Some of Michael’s last desserts at Le Bernardin are here.